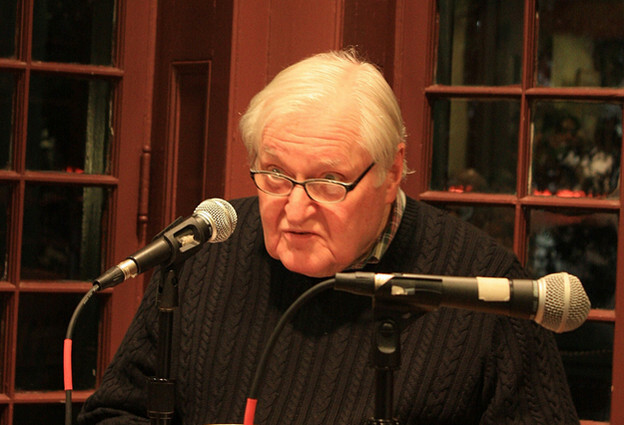 John Ashbery at the Writers House. Photo by Arielle Brousse. “Crowd Conditions” (click here to read) appears near the end of Ashbery’s 2000 book Your Name Here. As the title indicates, this is a book centrally, if playfully and earnestly, concerned with “you,” the mercurial second-person, singular and sometimes plural, pronoun. Your Name Here invites the reader to title it after her or himself, but this turns out to be a partial tease, since we are invited in, but never given full grammatical purchase. Despite the offer or exhortation, it will never be named after you, but always after you naming it after you. Throughout Your Name Here, poems address both a general and a particular you. The particular, for instance, likes Wheatena or the cookies with a very little sugar on them. This is the you with whom the speaker has lived a life “like that of the great dead poets.” This said, the poet just as often addresses a less intimate or locatable you, a roomy, inviting, taking-every-comer you — a you that can very comfortably accommodate the reader and which often offers the reader grip and traction in difficult poems. “You” in later Ashbery offers a flexible site of identification and sympathy. Either you are you the reader, and the fond poet addresses you and asks you to put a candle in his wreath and he’ll kiss you, or “you” provides a tender launching pad for the poet to address a lost but beloved other. With this pronominal activity in mind, “Crowd Conditions” is unusual for the book, and in fact, for Ashbery’s oeuvre more generally, since it is most convincingly read, whole cloth, as a persona poem — by this I mean that the poem invites us to read it as spoken by one specific person who is not the poet. But in its oddity, it is illustrative, even programmatic. It schematizes the tension and splay between an attention to landscape and an attention to attention itself. In a sense, the poem offers a take on the condition of the crowd of Ashbery’s later poetic output, poems torn between shaking everyone’s hand, or ducking into a waiting car. Each stanza features a specific mood — manifest in increasingly negative reactions to the imperfections of the world. The first stanza finds the speaker cozening his listener — “Does this interest you, ma jolie?” — into being interested in the landscape. This apparently fails, since the speaker continues to cozen by suggesting that things just might have been postured differently, “perhaps” “more to your liking.” “Yet,” he continues, there are certain things that can’t be undone about the landscape, so it will pretty likely always disappoint. Most of the important things the speaker notes have been obliterated to bring us the landscape we’re left with — this could be night which makes the light show of the sky and landscape possible, or something more like the way in which focusing attention on one thing inevitably takes attention from another. Further, the speaker intuits that his interlocutor in the poem is uneasy with the sexual posture the landscape provides as a “free gift.” This is someone who might wish to “undo the sexual posture of everything.” One might speculate that the idea of a “free gift” in its redundant insistence implies a sort of overzealous posing, or sexual (and commercial) posture. In this case, a double positive might make a negative. A “free gift” may be neither free nor gift, but grift: a showy gesture eliciting return. The final stanza, then, begins with the speaker giving up trying to put together some kind of more tolerable or convincing past, landscape, or reality: “Forget it. It all comes undone sooner or later.” In part this has to do with the crescendo of the second stanza, where the speaker sees what is expected of him and realizes he can’t fulfill it: he can’t both fill in the myriad details and individuals of a crowd and be sympathetic to them all. He can tarry in the general and experience one kind of imperfect sympathy, or get netted by specifics and feel another. Thus, at the limit of patience or caring or fellow feeling in a complicated and big world feeling itself comes undone. This line grounds the movement of the poem: the scanned frontier, the poodle, the limos with their roses, the reporters in their visors and the crooning old ladies. The final word reorganizes what seemed a kind of poetic flypaper, catching what flies past, and transforms it into a train of thought that moves from possibility, “frontier,” to resignation, “such is life.” Significantly, it hitches this development to a specific persona: the president. That the president’s one real verb is “wonders” is curious. He shares it with the vetch. They both wonder. The phrase, “such is life” is neither a stoical stance, nor a statement of meditation; rather, it is the frayed end or vernacular cauterization of wonder. This could be a statement the president makes aloud, but it seems, with all its sighing commas, to be interior — the friends, then, phantoms. Imaginary friends. In other words, the crowd conditions of the title aren’t just snarls of interest in the exterior world; they are the way in which one person, a president, navigates the immensity of the world, an immensity which forces any sympathy to be an imperfect one. The imperfect sympathies of the first line, those camera flashes that desire to fix the image of the president, soak through every image and speech act in the poem. 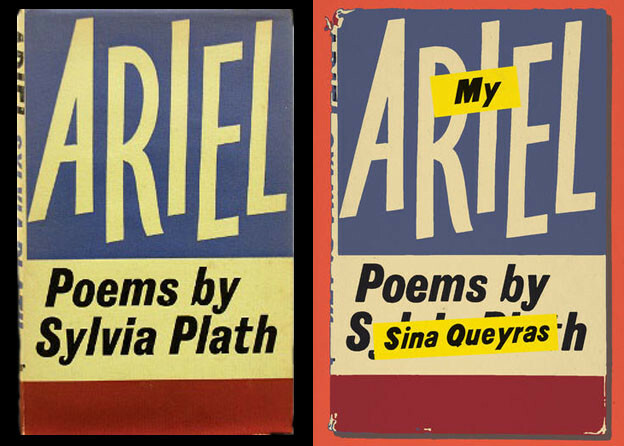 The president, while offering the reader access to and an axis through the poem, finds himself ill at ease, unable to connect with “ma jolie,” and like the vetch in its unponderable immensity, not able to sympathize with those he represents. His location occasions his dislocation from the landscape just as the statement of his dislocation occasions our location within the poem. The president represents more than he can feel for. He retreats from this impasse to a position of resignation: such is life. And Ashbery one-ups this imperfect sympathy: the president may just be talking to himself, internalizing his own “royal we,” being his own crowd of friends. The poem, which started out flirting with the pathetic fallacy, those lights twinkling their imperfect sympathies, then diving wholeheartedly into it with the sighing ocean, ends doubling back on itself in a sort of fallacious pathos. But weirdest of all is the fact that this poem, this crowd of images and propositions and observations, does in fact crowd around a persona once it is added. The poem, when given a single persona, ALL MAKES SENSE. It is a relief — AND our relief is EXACTLY the discontent the president feels. And we were warned: early on the speaker reports that in order to have a petit suite of lights under the gaga sky “most of the important things” would have to be obliterated. We are satisfied to have the poem become a petit suite exactly to the extent that our sympathy is imperfect: we fill in the blanks, provide the timeline, perhaps even draw analogies to contemporary figures. No persona, the poem suggests, ever goes anywhere without creating the clog and jostle of crowd conditions. On the other hand, this poet is careful not to suture his poem too snugly to its persona. Perhaps the president is just one of the crowd (of images, of possibilities) and the poet dares us to read the crowd of images always as if for the first time; put differently, resisting the magnetism of a single persona becomes central to rereading the poem. The poem invites us to consider ourselves the occasion for “crowd conditions” — do we shake everyone’s hand? Or do we duck into our waiting car? How willing are we to maintain the tension of a landscape always threatening to explode into the impossible generality of “vetch” and simultaneously contracting to the ponderings of a single official personage? A persona, it must be said, who is characterized above all by his exasperation with the effects of our making him a persona. a petite suite of lights in the gaga sky. for this to happen. Does that interest you, ma jolie? that comes with everything, a free gift. Now the blades are shifting in the forest. at a discreet distance, the back seat banked with roses. crooning about the loss they supposed we shared with them. Forget it. It all comes undone sooner or later. whether it grew any more today. Such, my friends, is life, wondered the president. “Crowd Conditions” was first published in Your Name Here (Farrar, Straus and Giroux). Copyright © 2000 by John Ashbery. All rights reserved. Used by arrangement with Georges Borchardt Inc. for the author.